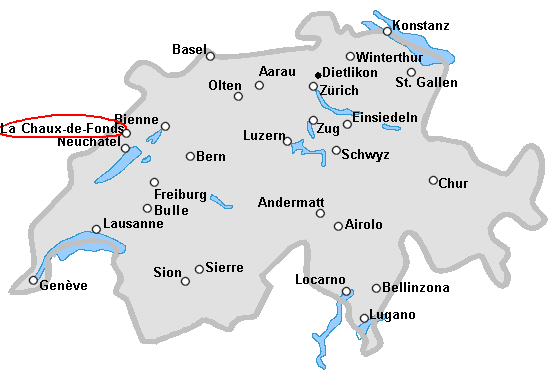 The next Swiss Juggling Convention 2009 will be in La Chaux-de-Fonds, in the french part of Switzerland. - From Friday the 12 to Sunday the 14 of June 2009. - Les salles de sport Numa-Droz, rue du Progrès, 29, 2300 La Chaux-de-Fonds. - It will be possible to sleep in a sleeping bag in a big room. Take your sleeping bag. See the reference Web Page above. Welcoming the jugglers, from 18 o'clock. Workshops from 20 to 22. 20:00 Public show in the "théâtre L’heure bleue". 10:30 Business Meeting, discussion about the future. The time of this event is unusal, it's a new try ! 11:30 - 13:00 Free juggling and Workshops. 16:00 End of the convention and cleaning. Helpers wanted. Inscribe you here.